Is a “new normal” possible? Russia, the European Union, and NATO still share some important common interests that need to be given greater attention. A return to strategic partnership is not conceivable without resolving the Ukraine conflict, but prudent management of the antagonism in order to keep open the prospect of a peaceful new normal is crucial. At the same time, it is important to keep in mind that the persistent volatility of the international environment could further complicate this already difficult process. 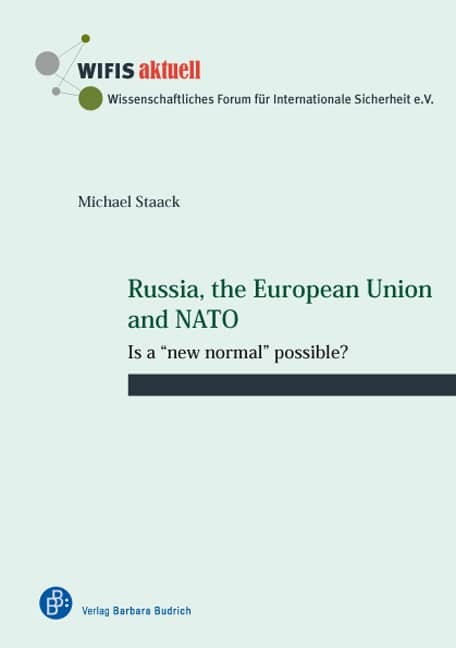 This essay first discusses the two main problems that led to the break in the partnership between Russia and the West, namely the organization of international order in a multipolar world and the integration and security dilemma in Europe. It then goes on to address German policy, which plays a key role in this conflict. The essay concludes by presenting five proposals that could be suitable for achieving a new normality beyond managing the antagonism.